JCDecaux SA (Euronext Paris: DEC), the number one outdoor advertising company worldwide, announced today that its German subsidiary Wall, based in Berlin, signed a new 15-year exclusive contract for all back-lit and digital advertising street furniture excluding bus-shelters following a competitive tender. This new contract includes at least 700 2m² panels, 900 4m² panels and 330 9m² panels which will be either back-lit static, scrolling or digital. This franchise will commence on January 1st 2019, by replacing all existing structures with new ones specifically designed for Berlin. The 4,500 advertising bus-shelters in Berlin which are operated by Wall (West Berlin until 31/12/2018 and East Berlin until 12/03/2020) will be subject to a separate tender from BVG (Berlin Transport Authority). Jean-François Decaux, Chairman of the Executive Board and Co-CEO of JCDecaux, said in Berlin today on signing: “Berlin with 3.6 million people is the most important city in Europe’s largest advertising market. 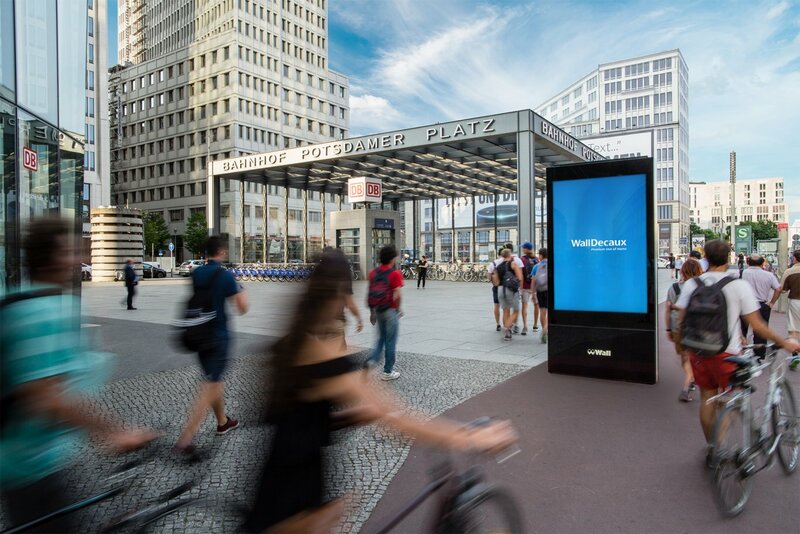 We are very pleased to continue to be Berlin’s exclusive partner for all back-lit and digital advertising street furniture which is one of the fastest growing segments of the overall advertising market in Germany where OOH now represents more than 6% of advertising spend. This new contract will pave the way for increasing the digitisation of our asset portfolio across all formats (2m², 4m², 9m²) which will further enhance the attractiveness of our OOH/ DOOH network for national, regional and local advertisers”.